When you really need to hit someone with a foam arrow from fifty feet away. Not sure if you’re up on technology advancements in foam and soft-plastic weaponry, but they’re doing great things with Nerf these days. The old cheap dart guns that had a range of eighteen inches are long gone, replaced by pistols, rifles, and even crossbows. 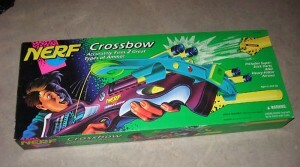 Yes, Nerf now makes bows and arrows which can be shot accurately from fifty feet. It kind of takes away from the whole “Cops and Robbers” games we used to play when you can set up sniper-style up the block, and just wait to pick the bandits off as they escape. Anyway, Nerf now makes a huge line of weapons including swords, shields, and battleaxes. You can even get a “Tactical Vest,” just in case you need to go to the mattresses against the other neighborhood kids. 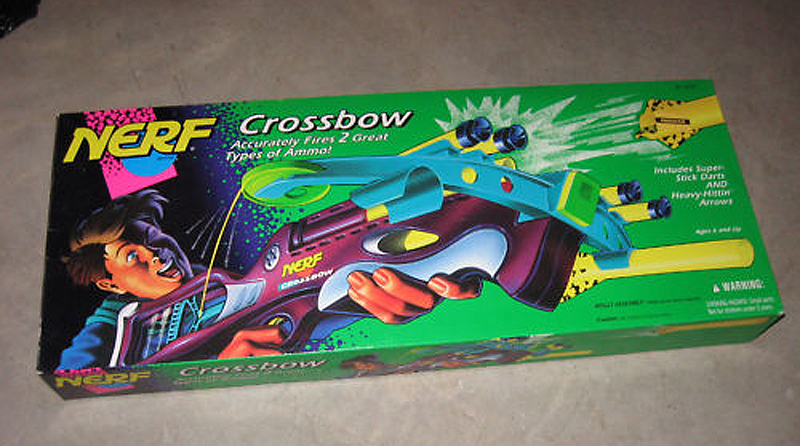 For the little Nerf-serial killer in your life. The one I’m the most puzzled with? 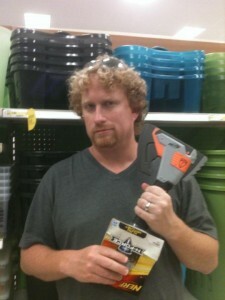 The new Nerf Hatchet. Okay, Nerf swords and dart guns I get. But a Nerf Hatchet? Are they marketing these to the serial killers of tomorrow? With a sword, you can run up on your target and pretend to have a swordfight. With a hatchet…you can sneak up on them from behind and pretend to decapitate them. Here’s the write-up from Hasbro’s website. Who needs to intimidate the neighborhood kids? He’s got a super-soaker, you’ve got a toy dismemberment device. They want to play soldier, you want to play John Rambo, ninja-murdering people up close and quiet behind enemy lines. If any kid in your neighborhood discards the popgun and chooses to go with the hatchet, watch that kid. That’s all I’m saying. — Reid Kerr thinks there should be a video game about delivering humanitarian aid to wartorn countries, so it’ll be sexier. This entry was posted on Sunday, January 13th, 2013 at 11:01 pm	and is filed under Musings. The entry is tagged under You can follow any responses to this entry through the RSS 2.0 feed. You can leave a response, or trackback from your own site.